Are you struggling to keep pace with ever-increasing workloads on a never-increasing budget? Virtualization delivers the benefits of faster deployment and consolidation, yet it demands greater performance and scalability from data center networks. The HP StoreFabric SN6500B Fibre Channel Switch meets the needs of hyper-scale, private cloud storage environments by delivering market-leading 16 Gb FC technology and capabilities that support highly virtualized environments. Designed to enable increased flexibility and investment protection, the SN6500B switch scales from 48 to 96 ports and supports 4, 8, 10, or 16 Gb/s speeds in an efficiently designed 2U package. It also provides a simplified deployment process and features a user-friendly, point-and-click interface. 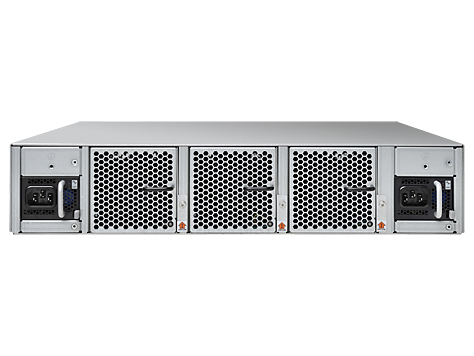 The SN6500B offers low-cost access to SAN technology while providing "pay-as-you-grow" scalability to meet the needs of an evolving storage environment. • The HP StoreFabric SN6500B Fibre Channel Switch delivers high-speed 16 Gb optimized inter switch links (ISLs) for twice the performance over traditional Fibre Channel switches. The net result is there are fewer links, fewer cables, fewer ports and less power for the same performance. • The HP StoreFabric SN6500B Fibre Channel Switch provides diagnostic Ports (D_Ports) enabling IT to identify and isolate optics and cable problems, reducing fabric deployment and diagnostic times. Use D_Ports to run a variety of tests for ports, SFPs, and cables for faults, latency, and distance. 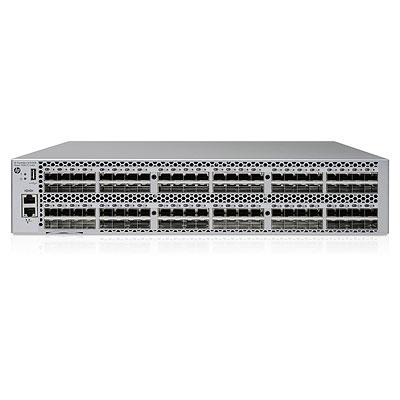 • The HP StoreFabric SN6500B Fibre Channel Switch provides unmatched bandwidth with 96 non-blocking 16 Gb/s ports in an efficient 2U form factor. Any eight ports can be trunked for 128 Gb Inter-Switch Links (ISLs). • The HP StoreFabric SN6500B Fibre Channel Switch enables unmatched, pay-as-you-grow scalability for evolving storage environments.